Manufacturer & Exporter of CO2 Generation Plant. Our product range also comprises of CO2 Recovery Plant, CO2 Storage Tank. 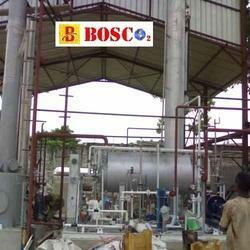 We are the manufacturer and supplier of a qualitative array of CO2 Generation Plant. Our products have various specifications which are defined by our clients, this plant is manufactured using quality assured raw material and high-end technology. Known for their exclusive features like perfect finish and unmatched quality, this range is extensively preferred by our clients spread across the world. We are providing this product at industry leading prices to our clients. Looking for CO2 Generation Plant ?